A few weeks ago I shared one of my favorite new masks for 2016, the Nip + Fab Kale Fix Clay Mask. 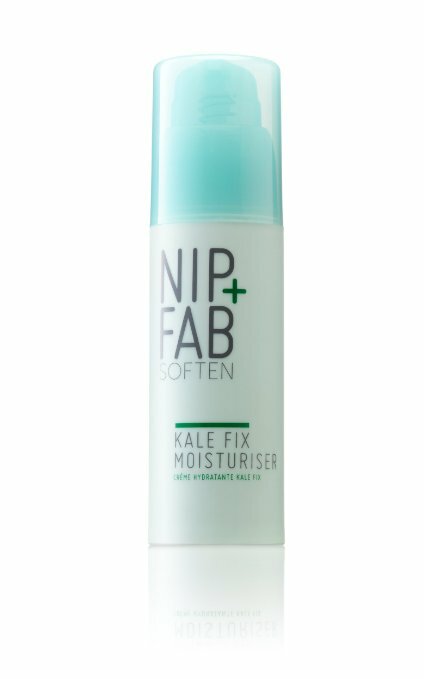 Nip + Fab Kale Fix Moisturiser is just what dry, parched skin needs. It's a very creamy, thick, texture that absorbed into my skin within seconds, and left a nice layer of moisture and sheen on my skin. It also has that great fresh "kale/green/cucumber" scent that the Nip + Fab Kale Fix Clay Mask features. I love that once on the skin, the Nip + Fab Kale Fix Moisturiser has a bit of a gel feel that makes my skin lock in the moisture. For just a few seconds there's a bit of a sticky feeling while it's drying, but it was very quick. After that I had a nice layer of moisture, with a beautiful glowy finish on my dry areas like my cheeks. After the moisturizer was fully absorbed my skin was so soft and supple. I loved using it first thing in the morning on very cold dry days, and I also started using it as a night hand cream before bed I loved it so much. Purchase Here: Nip + Fab Kale Fix Moisturiser Also available at CVS stores nationwide.